Your wedding or other event deserves to be done in style. Bring your imagination to life and bring in the warmth and ambiance you want with our decor choices. From antique folding chairs to decorative decor items such as doors, windows and more, select the look you desire. 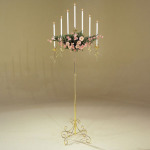 These beautiful arches add class and style to any wedding or other event, indoors or out. Choose AC or DC systems and speakers to match your event needs. 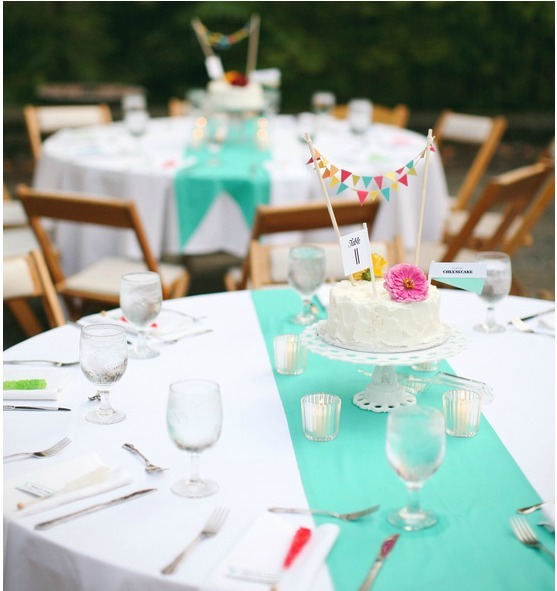 Get your reception or other party dancing! Provide for safety and ease of access with our stage stairs and railings. Seat your guests of honor, band or meeting presenters on our staging to give them visibility in any venue. For your wedding, conference or backyard party. 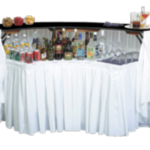 Keep your guests happy and hydrated with our fine selection of beverage service items. Provide power distribution for your event with a distribution box and appropriate cords. 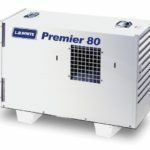 Cool your facility and guests with high CFM pedestal fans. 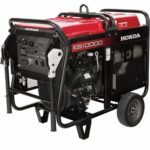 Power up your event anywhere with your choice of a 5600, 6000 or 9700 watt portable generator. Ensure your guests are comfortably warm with our 80,000-170,000 BTU whole tent heaters or 40,000 BTU patio heaters. 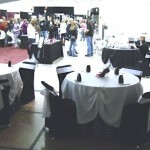 Provide for the elegant look you want with our wide selection of chair covers and sashes. 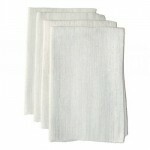 Our linen products come in a full range of colors and fabric choices. 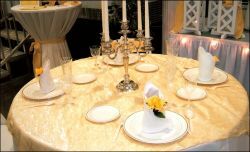 Polyester solid tablecloth. Other fabrics available – please contact us. For your next event, make sure you have the audio and visual equipment you need. Choose a battery operated (DC) or plug-in (AC) sound system for microphones or music. Don’t forget a projector and screen to enhance your event by informing or entertaining your guests. 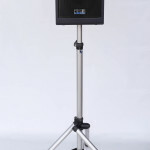 Your event would not be complete without providing for your audio needs. Project your voice and music with stand alone AC or DC systems and appropriate speakers. Ground-breaking ceremonies, grand openings and other special events deserve a dash of class. 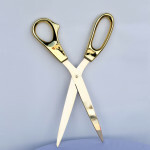 Do it right with a ceremonial shovel or ribbon-cutting scissors. 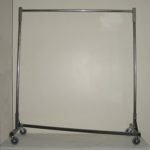 Usher your guests where you want them to go in style with our chrome stanchions. Roll out the red carpet for your important event adding elegance to the occasion. Make your next event a blast by entertaining and cooling off your guests with a dunk tank. Kids as well as adults love to join in this fun. 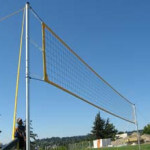 Volley, bump, set and spike your party into instant success with our volleyball equipment. We have tables and chairs for every event. 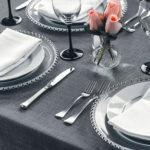 Choose from rectangular, circular or serpentine banquet or conference style. 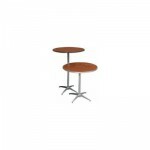 For guest convenience, add adjustable cocktail tables. 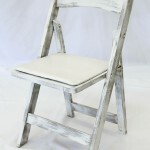 Look over our large selection of wedding or conference chairs. Choose from simple to elegant in an array of styles and colors.